Road Tripping? 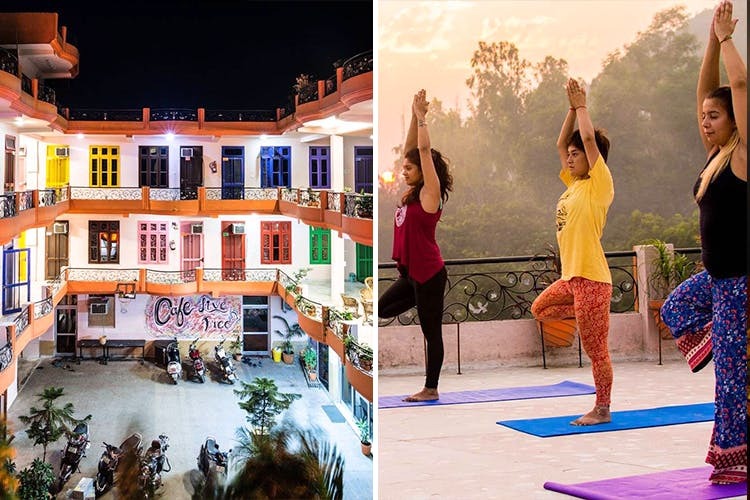 This Budget Hostel In Rishikesh Starts At Just INR 399! Live Free Hostel in Rishikesh is perfect for when you and your buds are on a budget and haven’t done a spontaneous trip for a long time. This Rishikesh hostel is clean, homely, has free wifi. You couldn’t possibly need anything else, right? End of the month money woes or just woke up dreaming of a spontaneous trip? We’ve got your back. Whether you’re travelling in a group or going solo, this hostel is the perfect place to head. Located next to Laxman Jhoola, they’re pretty close to most of the key attractions in the area. The best part? Their rooms start at INR 399 for a night. Need another reason to go? A lot of solo female travellers have said they’ve had a good experience here, so even if you’re alone or planning a trip with your girl gang, it’s safe to check in here. The hostel itself is much more than just a safe place to crash. Besides clean rooms with bunk beds (you can opt for eight bed or four bed rooms), they have free wifi, a terrace where you can practice yoga and meditate, a common lounge area where you can sit with the other residents and play a game of billiards and hammocks to lounge around in. The staff and volunteers at the hostel are super friendly and more than willing to give you tours of the city. They even organise group activities like painting the hostel walls, going on treks around the area and exploring the city. If you’re up for the hostel life and headed to Rishikesh, you should bunk out here. You can check out their Instagram or Facebook page for more information.